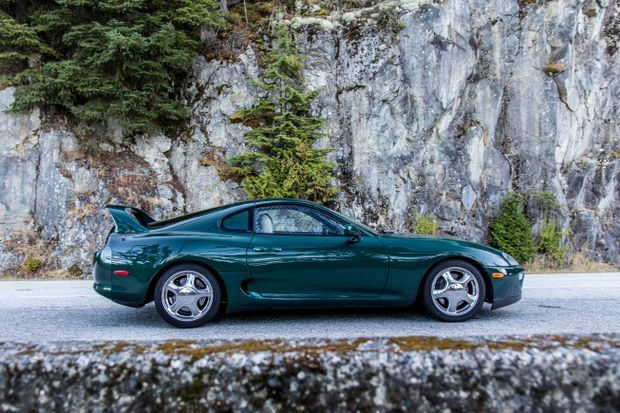 When the hammer finally fell on a 1994 Toyota Supra Twin Turbo on the popular classic car site Bring A Trailer, the final tally was a staggering US$121,000. That kind of money would get you a Porsche 911, and not a bare-bones version either, but the track-focused GT3. Granted, there were a few extenuating circumstances, as the car in question was an unusually perfect example with only 10,000 km on the odometer, and further it was purchased by a Toyota dealership that intended to display the new, fifth-generation Supra next to it. (The new Supra is being revealed at the North American International Auto Show on Jan. 14). Still, it is now officially too late to think about purchasing a cheap fourth-generation Toyota Supra Turbo. Like the air-cooled Porsche 911 and the Ferrari 550 Maranello, any prospective buyer looking for a good deal must first invent a short-range time machine. Naturally, a six-figure price tag for an old Toyota has caused much hyperventilation in the car collecting community. What's next, a Prius on the lawn at the Pebble Beach concours d'elegance? 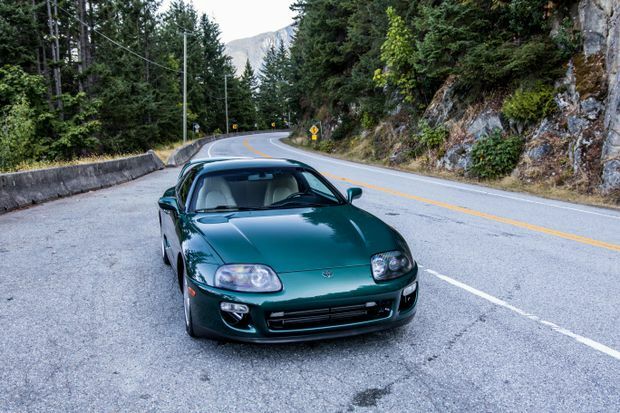 But suppress your mockery, because the twin-turbo Supra isn't just a desirable grand tourer, it's an icon of a lost age, a moment plucked from the most optimistic age of Japanese car manufacturing, and the undisputed king of the imports. Long before the first The Fast And The Furious movie propelled a bright orange Supra into movie superstardom, and before it starred in Gran Turismo Sport and other video games, the Supra was already a hero to those in the know. It arrived in 1993 as a 1994 model, with a sporting bloodline that could be traced back to the low-slung Toyota 2000GT, itself immortalized in the Bond flick, You Only Live Twice. The chassis was partially shared with the Lexus SC300 and SC400, but under the hood was the Japanese equivalent of Excalibur. With its bubble economy in full swing, Japan had gone sports car crazy. The Acura NSX proved the Japanese could build a creditable midengined rival to a Ferrari. The 300ZX was a turbocharged rocket ship. The razor-sharp RX-7 twin-turbo and all-weather-warrior Mitsubishi 3000GT VR4 showed off a mastery of technological advancement. The Supra arrived latest to the party, but made an entrance by kicking the door in. The chassis was partially shared with the Lexus SC300 and SC400, but under the hood was the Japanese equivalent of Excalibur. Known to enthusiasts by its reverently whispered engine code, the 2JZ-GTE was a 3.0L in-line six fitted with twin sequential turbochargers. Monstrously overbuilt, it featured an iron block and forged rotating assembly. In stock form, fitted with a 6-speed manual transmission, the Supra posted up dominant figures. Zero-100 km/h evaporated in about four and a half seconds, and removing the limiter allowed a nearly 290 km/h top speed. On the skid pad, it nudged 1.0g of grip, and its braking from highway speeds set a production car record that lasted until the hyper-exotic Porsche Carrera GT arrived a decade later. Further, the Supra seemed to have been created for those who wanted to crank up the boost. Power levels that would crush any Aston Martin were just a few tweaks away, and bolt-on upgrades could produce more than double the factory 320hp, two decades before the Hellcat. Yes, the Supra would become a movie star, but in a Tom Cruise do-your-own-stunts way. It became especially known for brutal acceleration when fitted with turbochargers the size of labradoodles. At the drag-strip, big-turbo'd Supras put the lie to the old adage that there's no replacement for displacement. The six-speed Getrag manual is satisfyingly direct, and the twin-turbo straight-six is brawny and smooth, flexing with low-end torque. This one, a largely stock 1997 model, is an utter delight to drive. The interior is most certainly 1990s-era Toyota, a plasticky swathe of instrumentation that indicates the R&D budget was blown on the powertrain. And what a powertrain! The six-speed Getrag manual is satisfyingly direct, and the twin-turbo straight-six is brawny and smooth, flexing with low-end torque. Seamless boost thrusts you forward, the acceleration feeling like a giant's hand pressing the driver deep into the seat. 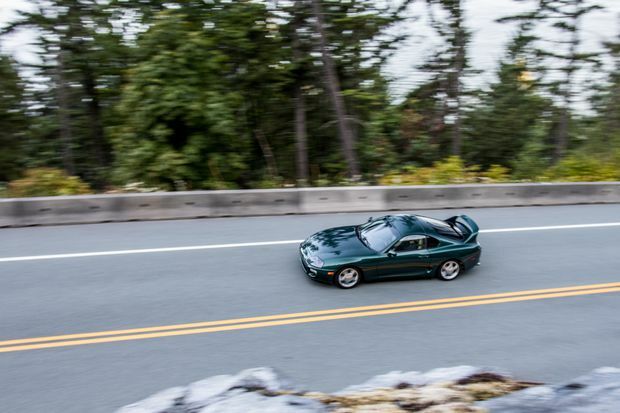 It doesn't have the sharp handling of Mazda's RX-7 twin-turbo, nor does the Supra quite have that precision-engineered feel of the Acura NSX. Nevertheless, it lives up to its legend with world-beating performance. When Japan's bubble economy collapsed, automotive enthusiasm shrank with it. 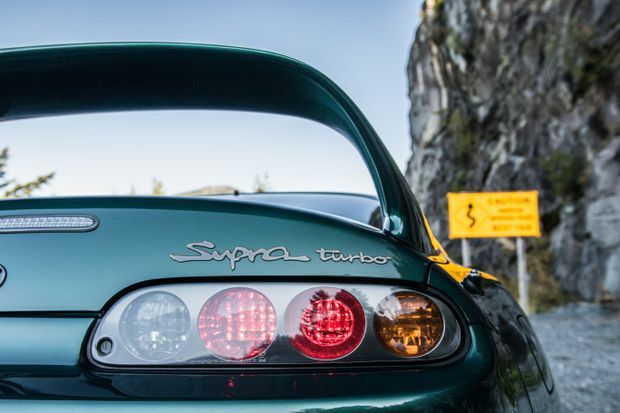 The sports car boom of the 1990s was over, and there wasn't much out there for Japanese fans to get excited about – noted exceptions include the rally rivalry between the Subaru STI and the Mitsubishi Evo, the emergence of the high-revving Honda S2000, and the enduring appeal of the Mazda Miata. Zero-100 km/h evaporated in about four and a half seconds, and removing the limiter allowed a nearly 290 km/h top speed. But there would never again be anything like the Toyota Supra Turbo. When that Toyota dealership in Chicago displays the new, fifth generation Supra next to its ancestor, it might well be doing the new car a disservice. Doubtless the new Supra will put out stock performance figures that equal or better the previous version, but it emerges into a world where V8 versions of the Mustang and Camaro both outmuscle it hugely. Co-developed with BMW, the new Supra will likely be great to drive, but the equal of the world's best machinery? Not again. At the end of Furious 7, a digitized version of the late Paul Walker peels away to the left at a fork in the road, driving a white Toyota Supra. It’s a perfect five minute sequence of filmmaking, and a heartfelt tribute to a fallen castmember. No car other than a Supra Turbo could have carried Paul’s memory into immortality. Long live the king.